Designed by Roberto Semprini for Scab Design, Italy. 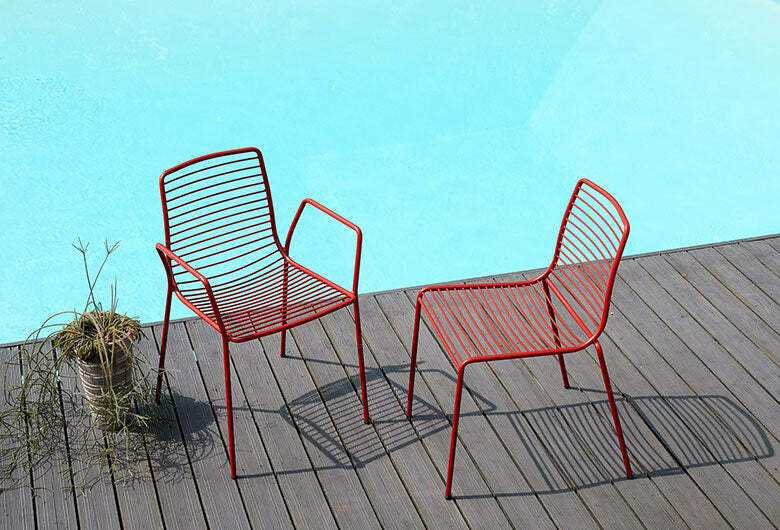 The Summer collection, with its clean lines and summery style, includes tables of different heights and multi-coloured stackable chairs and stools. The aesthetic makes it perfect to accompany every style and decor, from the small terraces to the most exclusive contract projects. An almost universal seat, in its rigorous simplicity.